The practice of law in New Jersey is governed by the New Jersey Rules of Professional Conduct. Understanding these Rules is critical to lawyers avoiding professional ethics charges from being filed in the first place. Sometimes, however, lawyers run afoul of the Rules of Professional Conduct – even unintentionally or through negligence. What happens when an ethics grievance is filed? How does the process work? Here, we review these and other commonly asked questions about the attorney grievance process. Who can file an attorney ethics grievance? Typically ethics grievances are filed by a lawyer’s client. However, grievances can be filed by other lawyers, judges, parties in a real estate transaction such as brokers and mortgage lenders, or any third party who claims to be aggrieved by a lawyer’s violation of the Rules of Professional Conduct. How is an attorney ethics grievance filed? By Supreme Court rule, all grievances must be in writing and filed with the secretary of the district ethics committee for the county in which the lawyer has his or her main law office. Ethical conduct is a personal obligation of a lawyer and therefore a grievance must be filed against a specific lawyer and not against a law firm. Who reviews an attorney ethics grievance? Because attorney grievances must be filed with the secretary in the county where an attorney maintains his or her main office, the secretary of the applicable district ethics committee conducts an initial review of all attorney ethics grievances and has 45 days to determine whether to accept/docket, dismiss or decline the grievance. R. 1:20-3(e). What is the standard of review that a district ethics committee secretary must apply when conducting an initial review of an attorney ethics grievance? Under what circumstances can a district ethics committee secretary reject an attorney ethics grievance? (D) the grievance involves aspects of a substantial fee dispute and a charge of unethical conduct, unless so directed by the Director or unless the matter is referred by the Fee Committee in accordance with Rule 1:20A-4. What happens if an ethics grievance is filed that relates to pending litigation? It is not uncommon for ethics grievances to be filed against an attorney who is representing a party in pending litigation. For a grievance to be accepted and docketed while there is pending litigation the Director of the Office of Attorney Ethics must be satisfied that the facts alleged in the grievance “clearly demonstrate provable ethical violations,” or that “the facts alleged present a substantial threat of imminent harm to the public.” R. 1:20-3(f). Otherwise the grievance will be declined and not docketed. Id. When happens when the district ethics committee secretary dockets an attorney ethics grievance? The secretary of the committee assigns the matter to a lawyer-member of his or her district ethics committee for investigation necessary to determine the validity of the allegations. The Supreme Court’s goal is to complete standard investigations within six months and complex ones within nine months of the date assigned. The committee investigator assigned to investigate a docketed grievance is required to serve the grievance on the lawyer, and the lawyer is given an opportunity to submit a written response which should be thorough and include copies of relevant documentation. Usually, the committee investigator will serve the lawyer’s response on the grievant and invite the grievant to submit a written reply. From there, the committee investigator may conduct interviews of the grievant, the lawyer and other persons named by the grievant as having knowledge of the alleged misconduct. The investigator then submits a written report to the Chair of the district ethics committee, who determines whether there is adequate proof of unethical conduct. Should a lawyer refuse to cooperate with a committee investigation of a docketed grievance? Absolutely not. Every lawyer admitted to the bar of the State of New Jersey has an affirmative obligation to cooperate with an ethics grievance investigation, and must submit a written reply within ten days of receiving a request for information as well as produce “the original of any client or other relevant law office file for inspection and review.” R. 1:20-3(g)(3)(emphasis added). What is the burden of proof required to sustain a violation of the New Jersey Rules of Professional Conduct? The burden of proof is clear and convincing evidence. What role does the Chair of a district ethics committee play when reviewing an investigative report recommending the filing of a formal complaint? The chair determines that there is a reasonable prospect of a finding of unethical conduct by clear or convincing evidence, such that it merits the filing of a formal ethics complaint. What is minor unethical conduct? Simply defined, minor unethical conduct “is conduct, which, if proved, would not warrant a sanction greater than a public admonition.” R. 1:20-3(i)(2)(A). The Director of the Office of Attorney Ethics has the sole discretion to determine whether unethical misconduct constitutes minor unethical conduct. The types of conduct that do not qualify as minor unethical conduct include: (i) knowing misappropriation of funds; (ii) unethical conduct that has resulted in substantial prejudice to a client or other person and restitution has not been made; (iii) the unethical conduct involves dishonesty, fraud or deceit; (iv) the unethical conduct constitutes a crime as defined by the New Jersey Code of Criminal Justice. Further, an attorney who has been disciplined in the past five years is not eligible for a determination of minor unethical conduct. R. 1:20-3(i)(2)(A). What are the consequences for an attorney who fails to cooperate with an ethics grievance investigation? Failure to cooperate with an attorney ethics investigation may lead to a temporary suspension of the lawyer’s license to practice law. As explained by R. 1:20-3(g)(4), “[I]f a respondent fails to cooperate either by not replying in writing to a request for information or by not producing the attorney’s client and/or business file or accounting records for inspection and review, the Office of Attorney Ethics may file and serve a motion for temporary suspension with the Supreme Court,….”Ibid. Is it possible to avoid the filing of a Complaint? Yes. if it is determined that the unethical conduct is minor, then the lawyer can request diversion which is similar to pretrial intervention. Diversion requires the approval of the Director of the Office of Attorney Ethics, and requires the lawyer entering into an agreement in lieu of discipline. An agreement in lieu of discipline will contain certain conditions that the lawyer must meet within a six month period. Typically, these conditions may include issuing a letter of apology to the grievant, attending and completing a course of continuing legal education on a particular subject, reimbursement of fees or costs, or participation in counseling or alcohol or drug rehab. If the attorney fulfills the terms, the matter is dismissed there will be no public record of the lawyer’s discipline, which in today’s digital world is very significant. How much time does a lawyer have to respond to a formal ethics grievance complaint? A lawyer who receives service of an ethics complaint charging him or her with misconduct has 21 days from the date of service to file an answer. Why are some ethics grievances handled by the Office of Attorney Ethics directly instead of being assigned to a local district ethics committee? Any case involving serious or complex issues that must be immediately addressed or require emergent action. Any case where an attorney is a defendant in criminal proceedings. Any case not resolved by a district ethics committee within one year of the filing of the grievance. Any case in which the Disciplinary Review Board or the New Jersey Supreme Court determines should be assigned to the Director. Any case involving multijurisdictional practice or practice as in-house counsel. 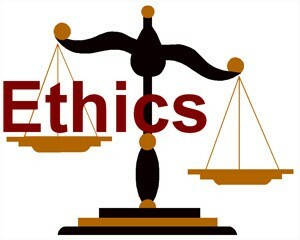 Are trials conducted in attorney ethics matters? When a formal ethics complaint has been filed the lawyer is entitled to request a hearing to contest the charges. The request must be made in the context of the lawyer’s written answer to the complaint, or the lawyer will be deemed to have waived the right to a hearing. R. 1:20-6 governs hearings in attorney ethics grievances. Hearings are conducted only if the pleadings raise genuine issues of material fact, or if the lawyer’s answer requests an opportunity to be heard in mitigation, or if the committee presenter requests to be heard in aggravation. Hearings are conducted by a three member panel consisting of two lawyers and a public member or non-lawyer, and are typically held in a designated courtroom. While the evidence rules are relaxed, in particular the hearsay evidence rule, the hearing has all the elements of a regular trial. Don’t see a question or answer that you’re looking for? Contact partner Glenn R. Reiser to discuss how our law firm can assist you in defending a New Jersey lawyer ethics grievance. Mr. Reiser is a former Chair of the Bergen County District II-B Ethics Committee, and has been defending New Jersey lawyers in ethics proceedings for over 10 years.